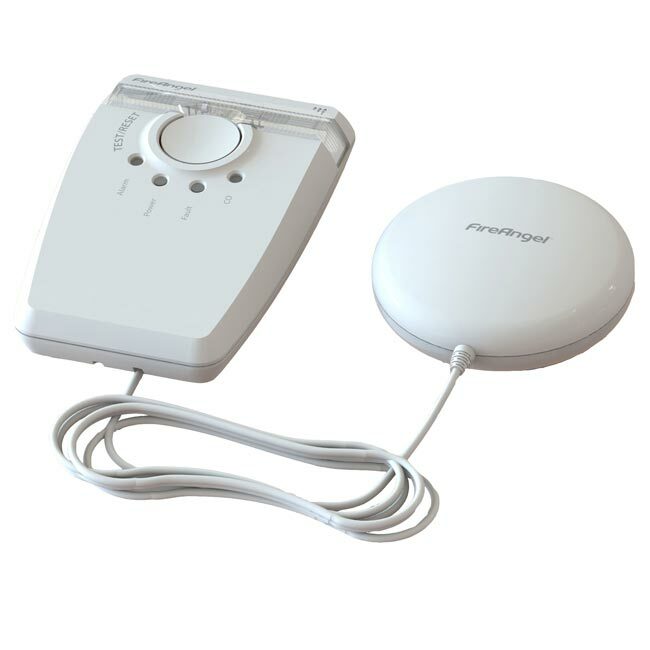 A great addition to the Wi-Safe2 alarm system, the Fire Angel Wi-Safe2 Strobe and Pad Receiver for the Hard of Hearing W2SVP630 utilises strobing light and vibrations to alert hearing impaired individuals to the presence of smoke or carbon monoxide (CO) in their home. The strobe and pad receiver utilises light and vibrations to alert hard of hearing Wi-Safe2 users. Should an alarm be triggered, the main strobe unit will flash. It can be wall mounted or laid flat, depending on your needs, and even features a light to indicate if fire or CO has been detected. The pad can comfortably be placed under a cushion or your pillow at night, and should the alarm sound will vibrate you awake to alert you to the danger. To ensure maximum operation, the receiver includes a mains power supply and a back up battery in case of power loss.